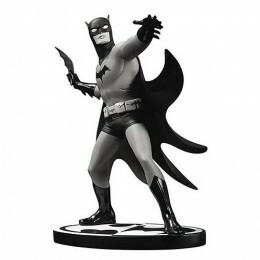 Celebrated artist Mike Allred brings his distinctive style to the Caped Crusader in this latest stat..
Recreates the Caped Crusader as portrayed by Adam West Designed by Barry Bradfield Sculpted by J.. 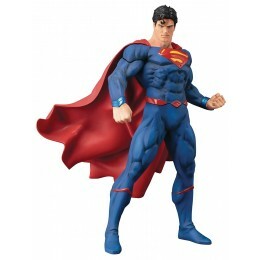 Following the mysterious absence of several years, the MAN OF STEEL comes back to Earth in the epic .. 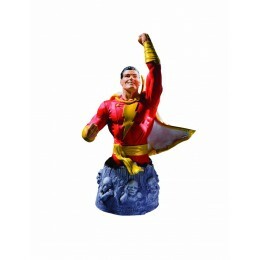 THE COMPANION FOE TO THE WONDER WOMAN BUST! 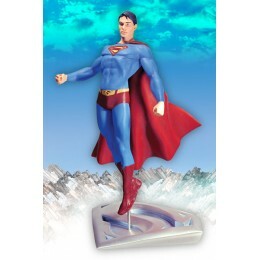 The popular WOMEN OF THE DC UNIVERSE line of cold-cast p..
Άγαλμα Batgirl, Super Best Friends Forever, DC Collectibles. Based on the designs by Lauren Fa..
Batman & Robin Kotobukiya ArtFX+ Statue Kotobukiya' s very first ARTFX+ release featuring B..
Άγαλμα Batman Black & White από τον δημιουργό κόμικς Norm Breyfogle και την DC Collectibles..
Based on Harley's latest DC Comics incarnationMeasures approximately 8" tallHigh-quality PVC plastic..
Άγαλμα Catwoman από την Diamond Select Toys από το Batman the Animated Series. 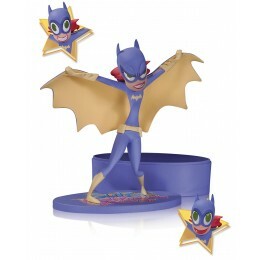 Μέγεθος 23 εκατο..
Άγαλμα Laughing Fish Joker από την Diamond Select Toys από το Batman the Animate..
Based on the 2018 action filmCollect Aquaman and ocean master, sold separately9" Pvc sculptureDetail..
SHAZAM is one of DC Comics' best-known characters, published since the Golden Age of ComicsDesigned ..
Άγαλμα DC Collectibles Scarecrow από τη σειρά Batman Black and White από το σχεδιαστή Carlos D'..
A Kotobukiya importFeatures Green Lantern in his classic costumeBased on the classic Super Powers ac..